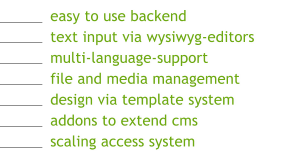 To our surprise there were only less bugs to fix but among them one big bug relating to external addons within the wysiwyg module. But this one was fixed too and also tested by the "bugseeker". Please download the release candidate 4 and we hope, the next release will be the stable.